Two catalog Miramax romantic comedies are coming to Blu-ray in April. 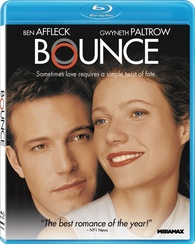 In an early announcement to retailers, Lionsgate says 'Kate and Leopold' and 'Bounce' will hit Blu-ray on April 10. 'Kate & Leopold: Director's Cut' - Hollywood mega-talents Meg Ryan ('You've Got Mail') and Hugh Jackman (the 'X-Men' trilogy) star in this romantic comedy about a modern 21st century woman who falls for a dashing 19th century man. Co-written and directed by James Mangold ('Walk the Line'), the film also stars Liev Schreiber ('X-Men Origins: Wolverine') and Breckin Meyer (TV's "Franklin & Bash"). The film's theme song, Sting's "Until," received an Oscar® nod for Best Original Song (2001). The Blu-ray premiere includes audio commentary with Mangold, deleted scenes with commentary, a behind-the-scenes featurette, a costume featurette and a photo gallery. Two strangers find love amidst unusual circumstances in 'Bounce.'' Oscar® winners Gwyneth Paltrow (Best Actress in a Leading Role, 'Shakespeare in Love,' 1998) and Ben Affleck (Best Original Screenplay, 'Good Will Hunting,' 1997) create sparks in their onscreen pairing. Written and directed by Don Roos ("Happy Endings"), the romantic drama also stars Natasha Henstridge ('The Whole Nine Yards'), Tony Goldwyn ('Ghost') and Jennifer Grey ('Dirty Dancing'). The Blu-ray premiere also includes audio commentary with the writer/director and producer, scene-specific commentary with Roos, Affleck and Paltrow, deleted scenes with commentary, a gag reel, a music video and behind-the-scenes and "making of" featurettes. You can find the latest specs for 'Kate and Leopold' and 'Bounce' linked from our Blu-ray Release Schedule, where they're indexed under April 10.